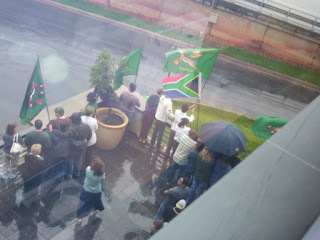 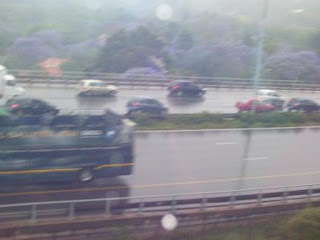 Marcia's blog: The Springboks' Parade - rained out! 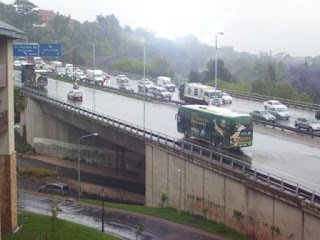 Our rugby team is/ was on a 4-day ticker tape parade around the country. 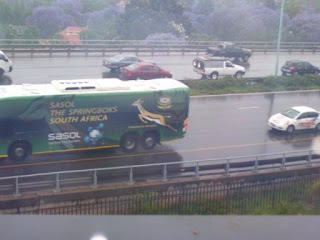 They passed our building for a few seconds on Friday afternoon in the pouring rain.